Actually, this isn't right. The CoC criterion is the largest blur that will be perceived by the viewer as a point. At low resolutions, this may be limited by pixel size, but generally in real world use other factors are dominant ­— display size, distance of viewer, etc. Not the answer you're looking for? Browse other questions tagged sensor-size or ask your own question. 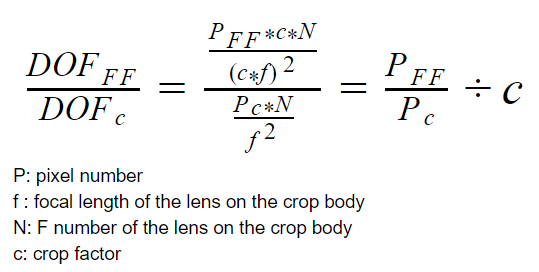 Why does a bigger sensor lead to a shallower depth of field? how does full frame cameras give better bokeh than crop sensor? When you set a lower image size, are you using the whole sensor size or just a portion of it? Could it even affect depth of field?